Some of you may remember that in 2014 my goal was to keep track of what books I read. I continued this practice in 2015 and as I get to the end of this year I’d like to share again some of my recommendations. As I look over the list of 43 books I have read so far this year, I am reminded again that I like to a read a pretty big range of genres and authors. I read academic and theology books as I prepare sermons and for my own growth as a Pastor and Christian. I read historical books, about everything from the Extinction of the Beothuk people of Newfoundland (“Last of the Beothuks,” by Barbara Whitby) to the early attempts at settlement of the upper West Coast of the United States (“Astoria,” by Peter Stark) to the parallel stories of the Chicago World’s Fair and a notorious serial killer (“Devil in the White City,” by Erik Larson – which I highly recommend). I read memoirs. This year they ranged from the comedic reflections of Mindy Kaling (“Is Everybody Hanging Out Without Me?”) to the painful memories of a man who survived sexual abuse (“Pee-Shy,” by Frank Spinelli). I read children’s books with and without my children (Roald Dahl was a favourite in my house this year, and I have to say that I loved his childhood memoirs in “Boy” as much as I loved “The BFG.”). In 2015 I once again enjoyed being in a book club and we have read everything from classics such as “Sense and Sensibility” (which I did not love) to teen science fiction like “Ender’s Game” (which I surprisingly DID love!). I am also thankful to have been introduced through them to Kurt Vonnegaut – my favourite newly discovered author of 2015. Sometimes there is just not enough life for all the books that you want to read, and definitely not enough life to waste time reading books that you don’t love. That’s why I wanted to write this post for my fellow readers who, like me, want to get the most out of their valuable reading time. This memoir was written by a man who was sexually abused by his scout master. When I first looked at it in the library I immediately put it back. These types of stories are very hard to read, and I didn’t know if I could do it. Then I remembered something that a man who had survived sexual abuse once told me – about how there is so much shame in sharing his story because no one wants to hear it. I felt like this man deserved to have his story read. It was, indeed, difficult to read, but I’m glad I read it. It really helped me understand the way shame and blame can work in these types of stories, and ultimately it was a story of victory and hope. I think this is a very valuable book for pastors to read – you are bound to have someone in your church who has a story too much like this one, and Spinelli will give you fresh insight into their story. Although this book came out a couple of years ago I did not get to reading it until this year. This book is a memoir by a man who was a self-described “Evangelical Poster Boy” who wrestled through his youth and young adulthood to understand his homosexuality. It is an easy to read book that honestly addresses his questions, struggles, pain and hope. 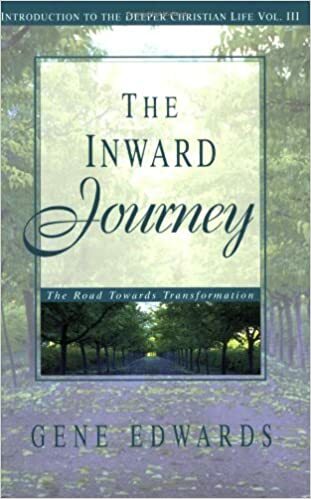 If you are a Christian trying to understand this very “hot” topic in the Church today, I think this is a book we should all read to understand the real journey of someone living into it every day. I preached a series this year about Passover and its connections to the Last Supper. I did a little research about recommended books and ended up ordering this one. I was so glad I did! Pitre works through historical and theological understandings of the passover and their connections to the Last Supper so beautifully that there were times that I literally gasped as I was reading. Pitre is a Catholic scholar, so our theologies of communion are different; however, this did not take away from the book for me at all. After a seminary degree and ten years in ministry, it’s a real treat when a book comes along that blows your mind, and your heart. This one did it for me. Sometimes I discover books that I didn’t realize I owned. This year as I was organizing my bookshelf I came across this one, and decided to read it because I loved another book by this author. What a great treat! Edwards writes like a playwright or even a novelist than a theologian, and does so intentionally. This book is about a fictional new Christian struggling to understand the role of pain in the Christian life. The book is divided into several sections – one is a vision that “Christian” (yes, that is his name in the book) has; another is in the form of letters written by a recently deceased uncle. This book is a simply beautiful reflection on suffering, and while I don’t agree with every theological conclusion on which he lands, it went deep into my heart and for that I am thankful. I think it’s a good sign when a book is useful enough that you find you can use it for your entire fall sermon series to discuss discipleship. Ruth Haley Barton uses the story of the Road to Emmaus as a model for the way transformation can happen in community. She addresses the value of things such as listening to each other, learning to name our lost hopes, and walking together. This book would be an excellent book for small groups to study together, which is one of its purposes. You are going to start thinking I only read depressing things. 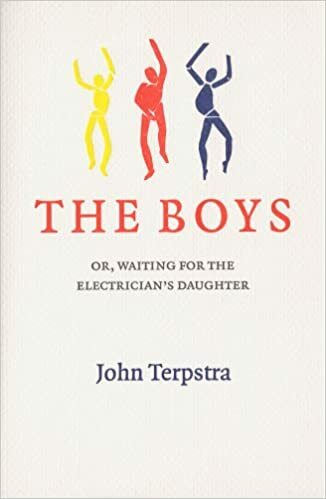 This book is Terpstra’s telling of the story of his wife’s family. His wife had three brothers who each died of the same heredity illness within several months of each other as young men. John and his wife lived with her family during the final months of their lives, and John poignantly describes their lives in a way that sparks hope in the midst of what some would think of as unthinkable tragedy. Every page is full of grace and full of God. Honestly, this is one of the most beautiful books I have ever read in my entire life. I have met John a few times, and I ended up writing him a big gushy message over email like a smitten fan. Which I am. After I read a book and put it in my book journal, I also give it a number out of 10. If you are looking for a great novel, here are the ones that scored 9 or higher for me this year. As I get most of my books used or from the library few of these are new books. I suggest getting them at the library like I did! As a grown man, Trond has returned to the lake where he and his father spent a summer when he was 14 years old. He explores what happened during that time when there was war, loss, and ultimately the end of his relationship with his father. It was very powerful – haunting. A traditional English butler reflects back on his life as he is nearing his career’s end, and tries to piece together the value of the career to which he gave everything. It is SO GOOD. They made it into a movie! Yes, the one with Anthony Hopkins and Emma Thompson. Oh my, this book!! It is hard to put down and it is goes very deep into the feels. This one actually is new this year, and it’s getting rave reviews. It tells the parallel stories of two young people before and during the Second World War, and how their worlds ultimately intersect. The first is a brilliant orphan in Germany who turns out to have a gift for technology, and the second is a blind girl from France who ends up having to stay with her Uncle during the war’s duration, and becoming a part of the resistance. If I have learned anything from being in a book club it is that favourite books are definitely subjective. If you read any of my recommends and feel I poorly used your valuable reading time I apologize in advance. (However, my gut tells me that I will end up saying “You’re welcome,” more than I will have to say “I’m sorry” for these great books by amazing authors! ).